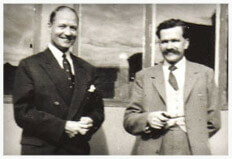 Our story began in 1952 when Bill Russell and Peter Hobbs teamed up to transform kitchens across Britain. Their vision was simple: to create products that make home life easier and more enjoyable. 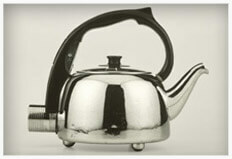 The first automatic electric kettle was one of many groundbreaking innovations from Russell Hobbs. Today, we continue to put people at the heart of what we do. By being closer to you, we gain the insight to design things better. From innovative touch control technology to removable, dishwasher-safe components, our products are packed with real solutions that help people enjoy home life – because that’s what matters most. 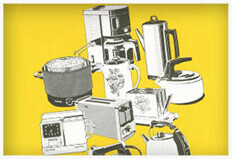 On our 60th anniversary, Russell Hobbs is proud to be the number 1 small domestic appliance brand in the UK. Our reputation has spread across Europe and continues to grow worldwide. We enjoy a cherished place at the heart of homes everywhere. 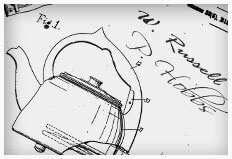 Bill Russell & Peter Hobbs establish 'Russell Hobbs' and the first coffee maker with keep warm function, the CP1. 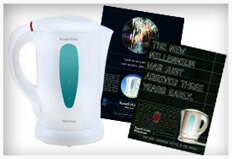 The K1 kettle is invented as the world's first ever automatic electric kettle. 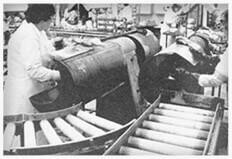 Production exceeds one million appliances. 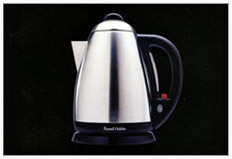 Recognised as the world's leading kettle producer and UK No.1 for coffee makers and toasters. Chelsea Tea Machine introduced, with revolutionary single pot system. 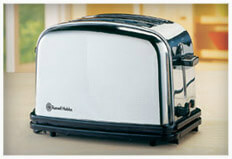 Classic toaster is launched and soon becomes the UK's best selling iconic toaster. 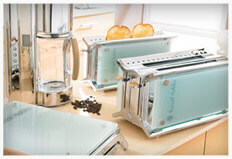 It is now the best selling toaster in history. 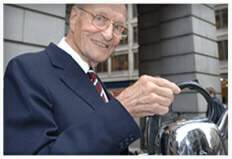 Millenium kettle invented with a British made, OPTEC disk and becomes the fastest boiling kettle. Award winning 'Glass' range launched. 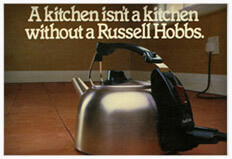 Russell Hobbs celebrates it's 50th anniversary of the K1 kettle. 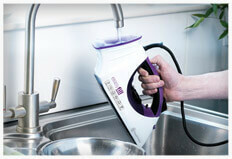 Russell Hobbs launch 'Easyfill' - a unique steam iron which has a special back-filling base for water. Russell Hobbs launch the new Allure range which is our first ever fully co-ordinated breakfast and food preparation range. 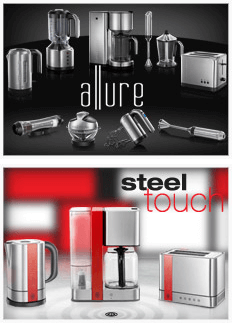 Steel Touch is launched, introducing the world's first innovative Steel Touch Control breakfast range which is combined with designer red looks. After becoming the No.1 iron brand in the UK. 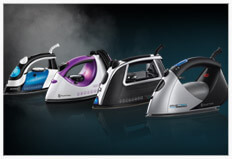 Russell Hobbs launch the successful unique and innovative range of irons into the rest of Europe. 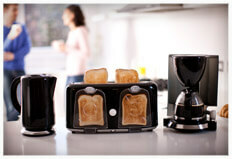 Introducing more consumer led innovation with the Easy Breakfast Collection. 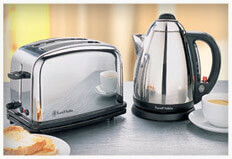 To celebrate 60 years of innovation, style & design Russell Hobbs presents the Legacy breakfast collection.